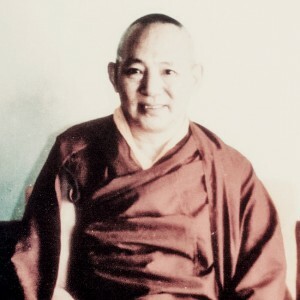 His Eminence Geshe Kelsang Gyatso Rinpoche was born in 1931 on the 4th day of the 6th month of the Tibetan lunar calendar, in Yangcho Tang, Tibet and named Lobsang Chuponpa. 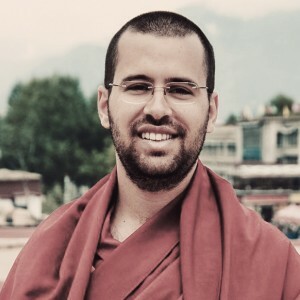 He is an internationally renowned Buddhist monk, meditation teacher, scholar and author. 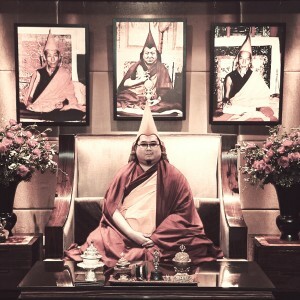 He is the founder and former spiritual director of the New Kadampa Tradition – International Kadampa Buddhist Union (NKT-IKBU), which is said to be an entirely independent Modern Buddhist order based primarily on the teachings of the Gelugpa tradition of Tibetan Buddhism. 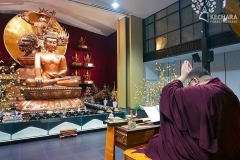 The NKT has grown to become a global Buddhist organisation and currently claims to have 1,200 centers and branches in 40 countries around the world. 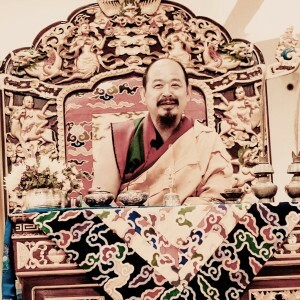 Geshe Kelsang Gyatso is known among students of Buddhism for establishing the NKT and for his books which outline the key aspects of the Gelugpa tradition and the propitiation of the Dharma Protector Dorje Shugden. 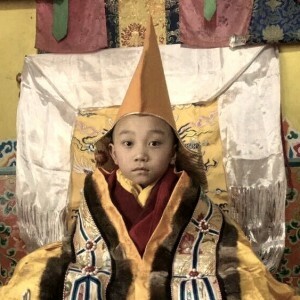 Geshe Kelsang Gyatso joined Ngamring Jampa Ling Monastery at the age of eight where he was ordained as a novice monk and given the monastic name Kelsang Gyatso meaning “Ocean of Good Fortune”. 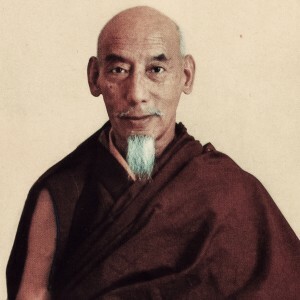 Under the guidance of his spiritual master, His Holiness Kyabje Trijang Rinpoche, he then spent the next 18 years in meditational retreats in the Himalayas, engaging in deep retreat first near the Nepali border and later in the mountains of northern India. 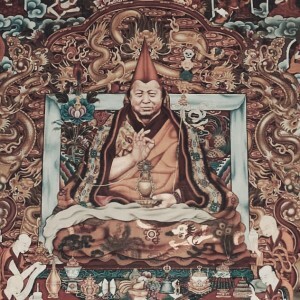 He soon developed a reputation as a great meditator, with many coming to regard him as a modern day mahasiddha. 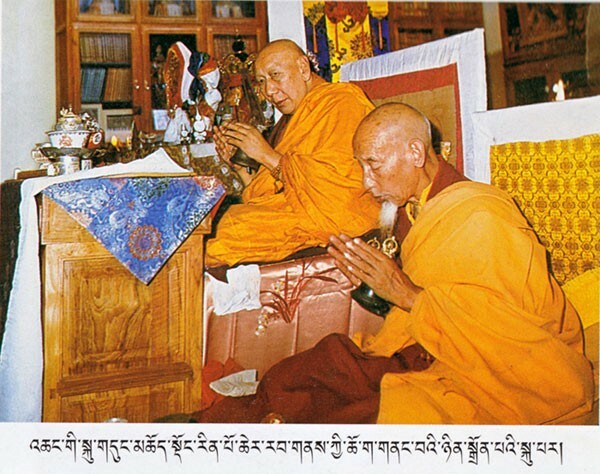 Thereafter Geshe Kelsang Gyatso continued his studies at Sera Monastery near Lhasa. 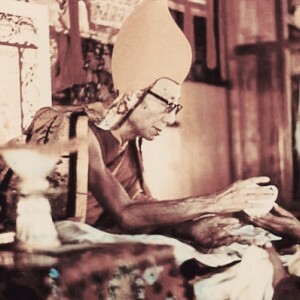 After escaping to India via Nepal during the Tibetan exodus in 1959, Geshe Kelsang Gyatso stayed at the monastic study centre established at Buxa Fort. 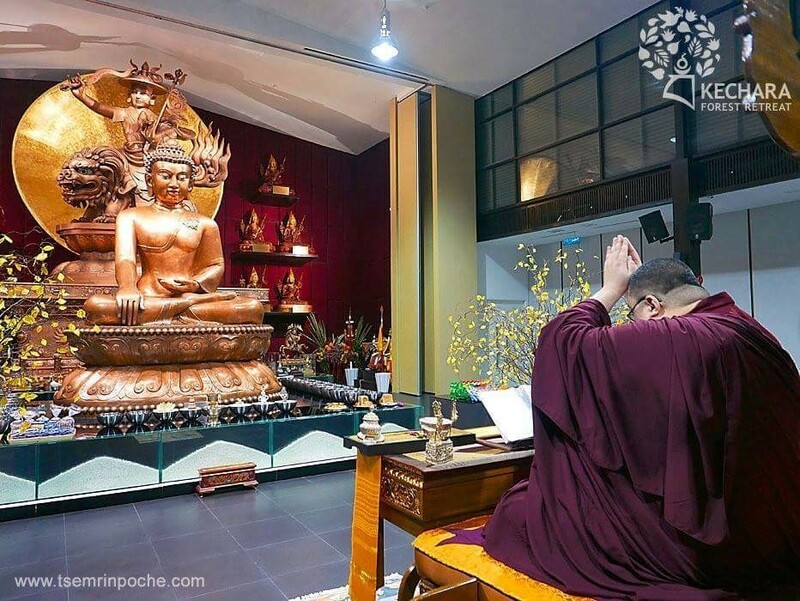 All he brought with him were two precious Buddhist scriptures – Shantideva’s Guide to the Bodhisattva’s Way of Life and a text by Lama Tsongkhapa. In 1971 the Indian Government donated large tracts of land in South India to the community in exile and separate monasteries were established in the south. At this time, Geshe Kelsang Gyatso left the monastery at Buxa for Mussoorie (a hill station in the Indian state of Uttarakhand) where he taught and engaged in intensive meditation retreats for several years. 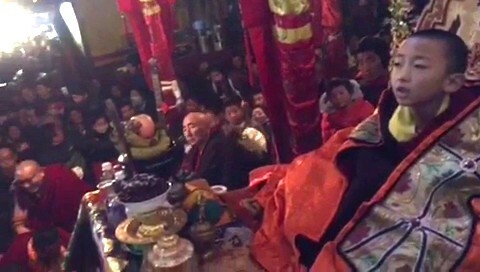 He was reported to be by all accounts, a very well respected scholar and meditator within the Tibetan exile community. 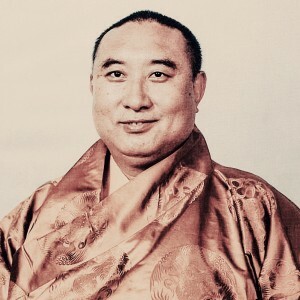 In 1976, at the suggestion of His Holiness the 14th Dalai Lama, Geshe Kelsang Gyatso was invited by his former classmate, Lama Thubten Yeshe, through their mutual spiritual guide to become the resident teacher at the main FPMT (Foundation for the Preservation of the Mahayana Tradition) centre, Manjushri Institute in Ulverston, Cumbria in England. Geshe Kelsang Gyatso arrived in August 1977 and gave his first teaching on the Lamrim on September 10th. 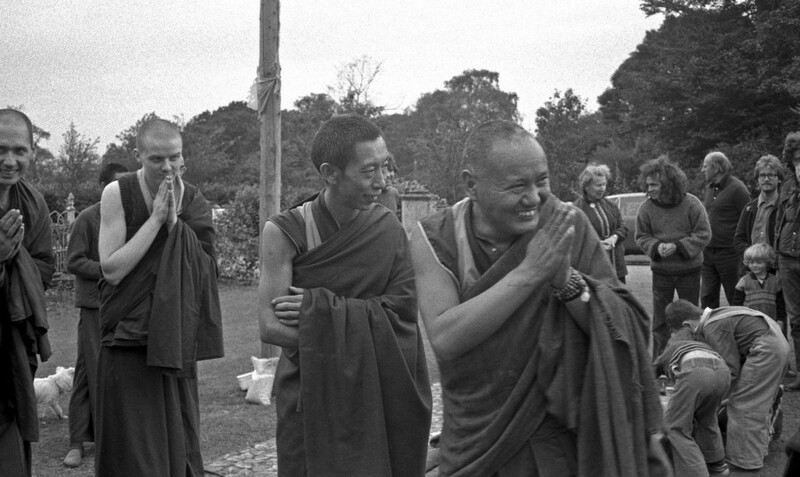 He also taught the General Program at Manjushri Institute from 1977 to 1987. 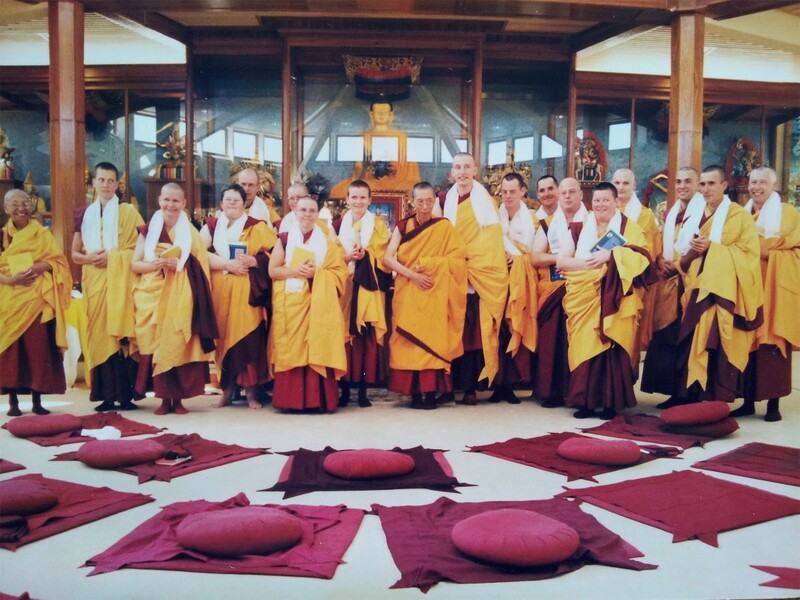 Under Geshe Kelsang Gyatso’s spiritual direction, Manjushri Institute became a thriving training and retreat centre. 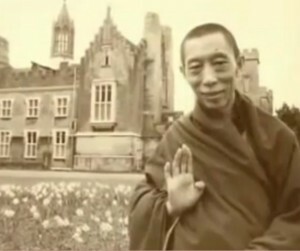 In 1979, Geshe Kelsang Gyatso opened a Buddhist teaching centre (Madhyamaka Centre in Yorkshire) under his own spiritual direction and apparently without FPMT approval. 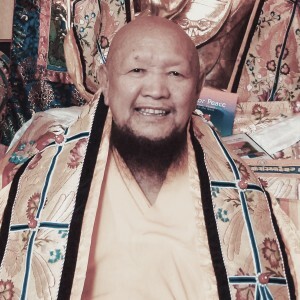 Robert Bluck explains that as a consequence of opening Madhayamaka Centre, Lama Yeshe asked for Geshe Kelsang Gyatso’s resignation, but his students petitioned him to remain. 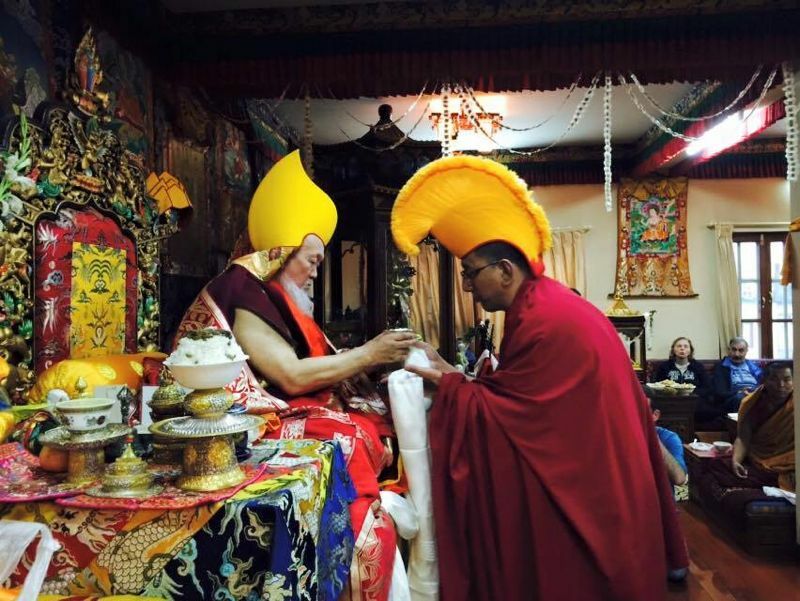 A struggle ensued for control of Manjushri Institute, which eventually withdrew from the FPMT. 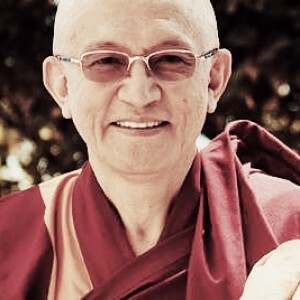 Although some FPMT students regarded Geshe Kelsang Gyatso as a “rogue geshe” as a result of his separation from the FPMT, Bluck suggests an alternative view and opined that “FPMT teachers became increasingly remote, with Geshe Kelsang Gyatso’s single-minded approach and personal example inspiring many students“. In 1987, Geshe Kelsang Gyatso entered a 3-year retreat at Tharpaland International Retreat Centre in Dumfries, Scotland. During his retreat, he wrote five books and established the foundations of the NKT-IKBU. At the heart of the NKT-IKBU are its three study programmes: the General Programme, the Foundation Programme, and the Teacher Training Programme. 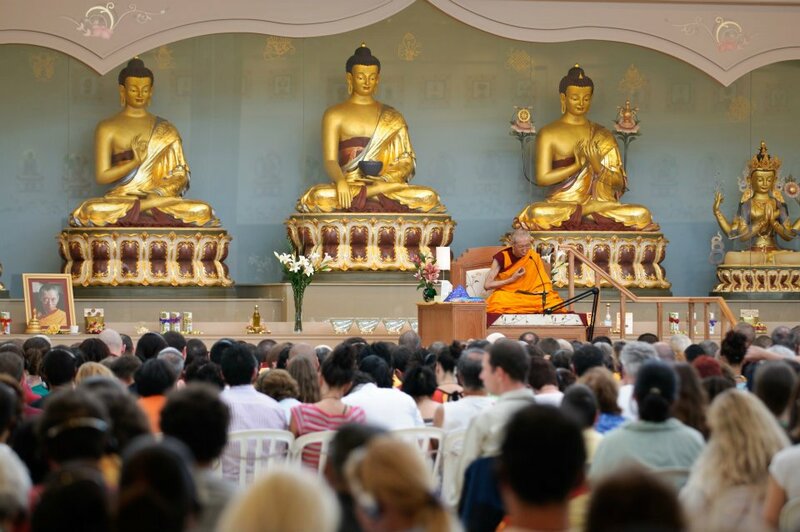 In these programmes students exclusively study Geshe Kelsang Gyatso’s books with authorised NKT-IKBU Dharma teachers. 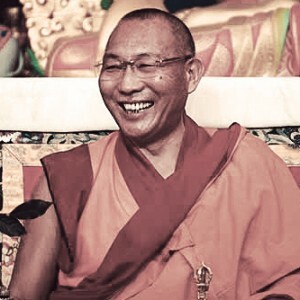 According to the NKT-IKBU, it “seeks not to offer a Westernised form of Buddhism, but rather to make traditional Gelugpa Buddhism accessible to westerners.” To achieve this, Geshe Kelsang Gyatso taught himself English. Since its founding, the NKT-IKBU has grown to comprise over 1,200 centres and groups throughout 40 countries. 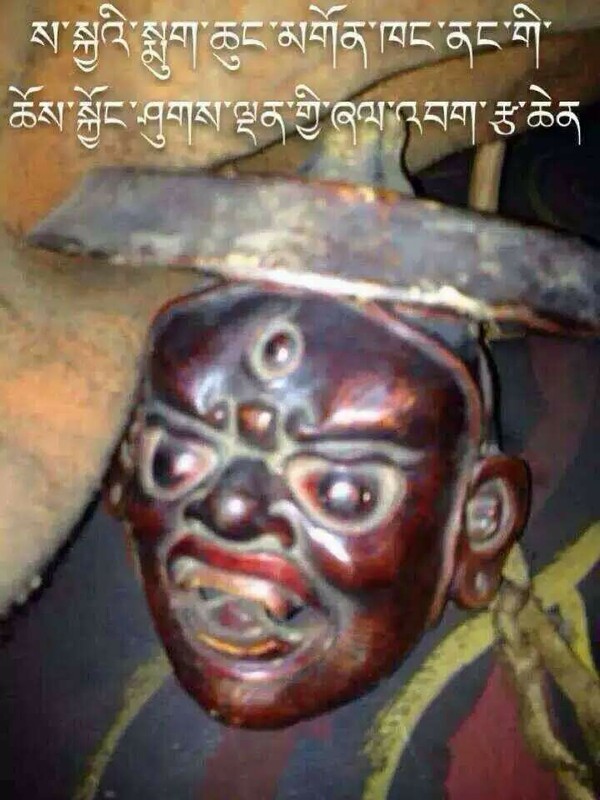 Throughout my life I will abandon killing, stealing, lying or cheating, sexual activity, taking intoxicants and engaging in meaningless activities. I will practice contentment, reduce my desire for worldly pleasures, maintain the commitments of refuge, and practice the three trainings of moral discipline, concentration and wisdom. Every Teacher and every tradition has a slightly different approach and employs different methods. The practices taught by one Teacher will differ from those taught by another, and if we try to combine them we shall become confused, develop doubts, and lose direction. If we try to create a synthesis of different traditions we shall destroy the special power of each and be left only with a mishmash of our own making that will be a source of confusion and doubt. 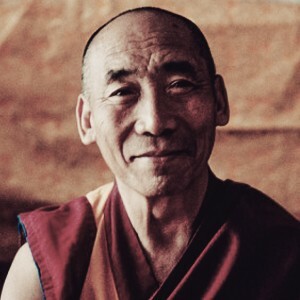 To achieve his goal of bringing pure Buddhist teachings to the West, Geshe Kelsang Gyatso would train equally four types of teacher: monks, nuns, lay men and lay women. 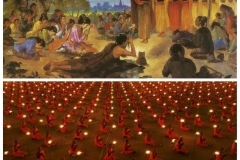 NKT-IKBU Dharma centres are mixed communities of lay and ordained practitioners who are all on the same teaching programs. Geshe Kelsang Gyatso also promotes the development of local teachers in their own language. 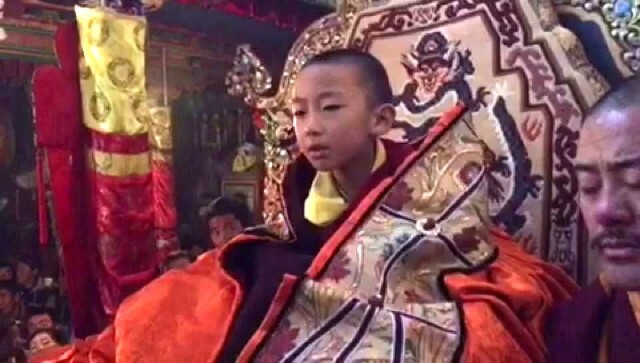 This is a departure from most Tibetan Buddhist centres where monastics take precedence over lay people, monks take precedence over nuns, and Tibetans take precedence over Westerners. We need qualified Teachers. 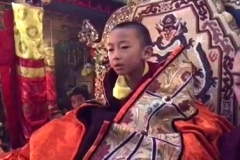 The New Kadampa Tradition cannot buy qualified Teachers, nor can we invite them from outside. We need Teachers who can teach the twelve texts that we have chosen as our objects of study in the Teacher Training Programme and the Foundation Programme. 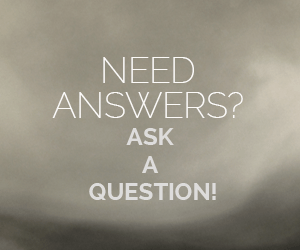 Other Teachers cannot teach these books because they have not studied them and they do not have the transmissions. 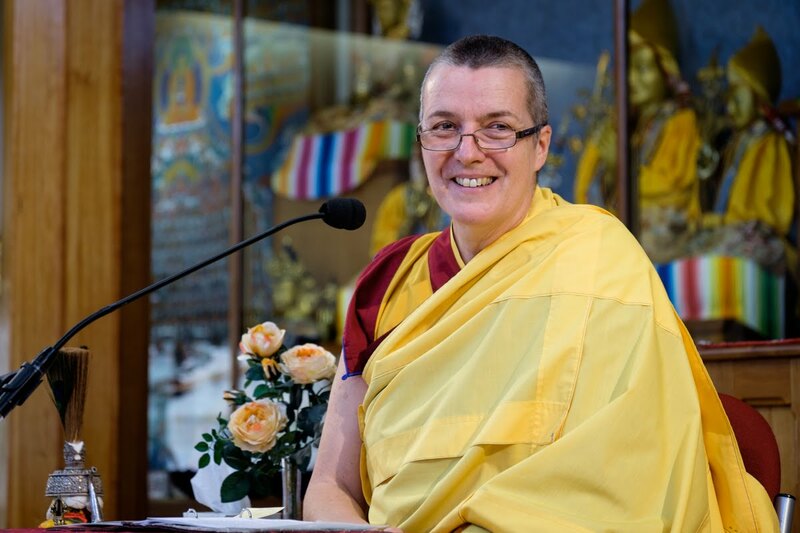 Therefore, qualified Teachers within the New Kadampa Tradition can come only from our own students. In his teachings Geshe Kelsang Gyatso often emphasises the importance of meditation and how to apply it in daily life, the need to be truly happy, and how to cultivate a good heart to help others and he demonstrates these qualities perfectly in his own life. He understands the problems faced by modern people and shows how we can solve them through simple scientific methods taught by Buddha. But though his teachings are extraordinarily clear and easy to understand, they contain the entire profound lineage of ancient wisdom he holds. These are some simple yet profound quotes from Geshe Kelsang Gyatso which perfectly encapsulate his uncommon presentation of modern Buddhism. 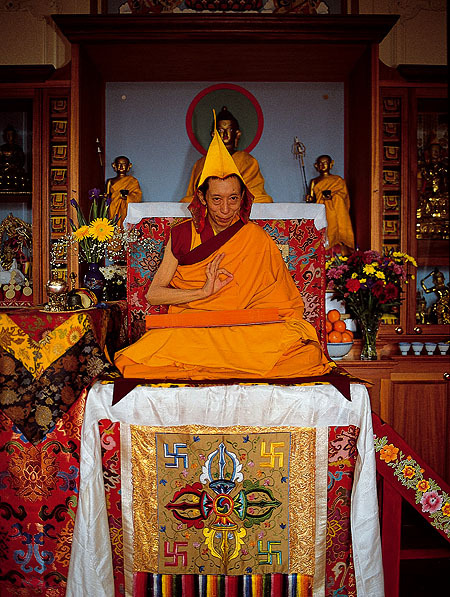 Geshe Kelsang Gyatso has taught extensively on all aspects of Sutra and Tantra according to the teachings and tradition of Lama Tsongkhapa. 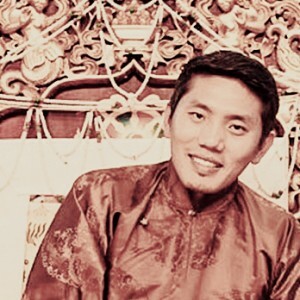 He is also a prolific writer and translator. 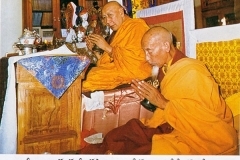 His books present various key aspects of Buddhism as taught by the Gelug scholastic tradition. 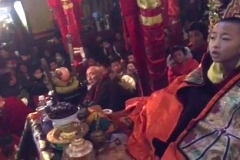 Several have been well regarded and recommended by senior Gelug Lamas. Geshe Kelsang Gyatso’s books were first published by Wisdom Publications. 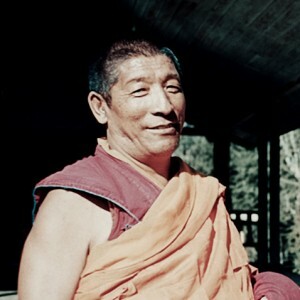 In 1985, Tharpa Publications was founded to publish his teachings and since then has been the exclusive publisher of his works worldwide. Today, Geshe Kelsang Gyatso is the author of over 20 books, each written with the objective of providing Western Dharma practitioners with essential Buddhist texts. 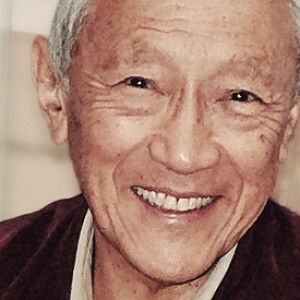 His first book published in 1980 was a commentary to Shantideva’s Guide to the Bodhisattva’s Way of Life called Meaningful to Behold. This was followed by Clear Light of Bliss in 1982. Geshe Kelsang Gyatso’s books include titles for beginners such as Introduction to Buddhism, Transform Your Life and How to Solve Our Human Problems, books about the Mahayana path like Universal Compassion (Lojong), The New Heart of Wisdom (Heart Sutra) and Joyful Path of Good Fortune (Lamrim), and books on Vajrayana (Tantra) like Mahamudra Tantra, Guide to Dakini Land and Essence of Vajrayana. 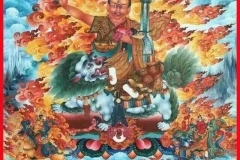 Two of his books are commentaries on Indian Mahayana texts: the book Ocean of Nectar is a commentary to Chandrakirti’s Guide to the Middle Way, and Meaningful to Behold is a commentary to Shantideva’s Bodhicharyavatara as mentioned above. It is remarkable that the author has managed to give us so much information in only a few hundred pages. The editors are to be commended for their skilful efforts in conveying Geshe Kelsang Gyatso’s instructions in such simple and precise language… By making this book available for Vajrayogini practitioners, Geshe Kelsang Gyatso has truly brought a blessing into our lives. Over a million copies of Geshe Kelsang Gyatso’s books have been sold, and “their popularity is increasing as more people become interested in the teachings of Buddhism.” The books are being translated into many other languages. Geshe Kelsang Gyatso has also translated and/or composed many sadhanas, or prayer booklets, for the practice of many of the Buddhist Tantras. In August 2009, Geshe Kelsang Gyatso voluntarily stepped down as General Spiritual Director of the NKT-IKBU, in a democratic system of succession that he established in the NKT-IKBU’s Internal Rules. 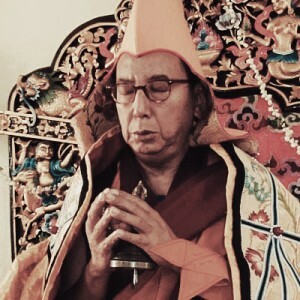 After retirement, Geshe Kelsang Gyatso engages in meditation retreats and continues to write Dharma books, most recently Modern Buddhism: The Path of Wisdom and Compassion, to help preserve and promote the Kadampa Buddhism of Lama Tsongkhapa in accordance with the instructions of His Holiness Kyabje Trijang Rinpoche. The life of Venerable Geshe Kelsang Gyatso is indeed one of struggle for his faith. From Tibet to India to America, Venerable Geshe Kelsang Gyatso has worked to benefit many, both ordained and lay. 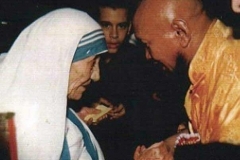 Indeed, in America he has brought Dharma to so very many. 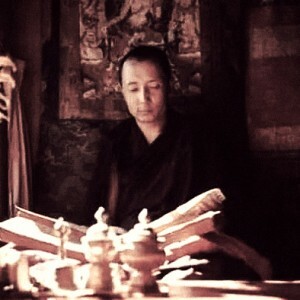 Not only that, his numerous books both in English and translated versions has brought Buddhism and the Dharma to many in this modern times, where the way and secular mind sets are different. Venerable Geshe Kelsang Gyatso is indeed a great master to be able to bridge the gap for the westerners and also the modern younger set. 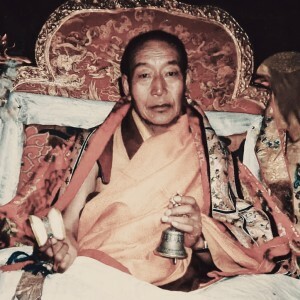 It is very interesting to read of Geshe Kelsang Gyatso’s involvement as resident teacher at the main FPMT (Foundation for the Preservation of the Mahayana Tradition) during the 1970s. 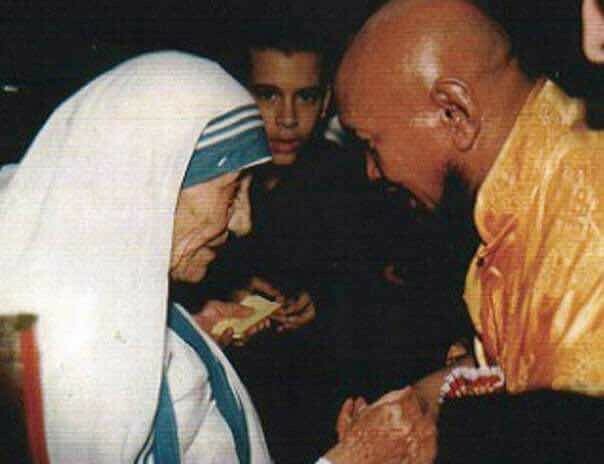 He was instrumental in the thriving of the centre under his spiritual direction between 1977 to 1987. 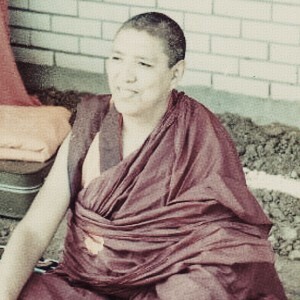 In 1991, Geshe Kelsang Gyatso founded the New Kadampa Tradition – International Kadampa Buddhist Union (NKT-IKBU), which is an independent Modern Buddhist order based primarily on the teachings of the Gelugpa tradition of Tibetan Buddhism with a specific practical focus on the Lamrim, Lojong and Mahamudra. The NKT-IKBU has grown to comprise over 1,200 centres and groups throughout 40 countries. 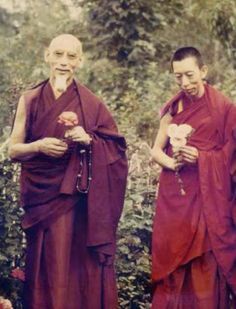 Geshe Kelsang Gyatso believes the most effective way to progress spiritually is by “following one tradition purely – relying upon one Teacher, practicing only his teachings, and following his Dharma Protector. If we mix traditions many obstacles arise and it takes a long time for us to attain realizations.”. 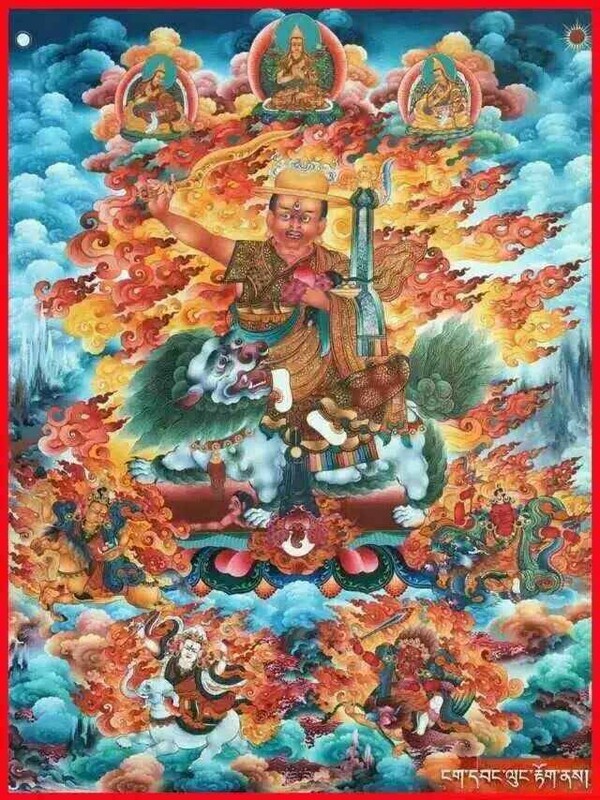 It is very fortunate for us to learn about the journey of a great master like Gehse Kelsang Gyatso, may he be an inspiration to many people. 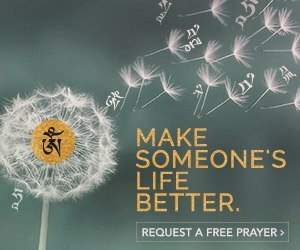 I first time came across this renowned master’s book was Transform Your Life: A Blissful Journey. 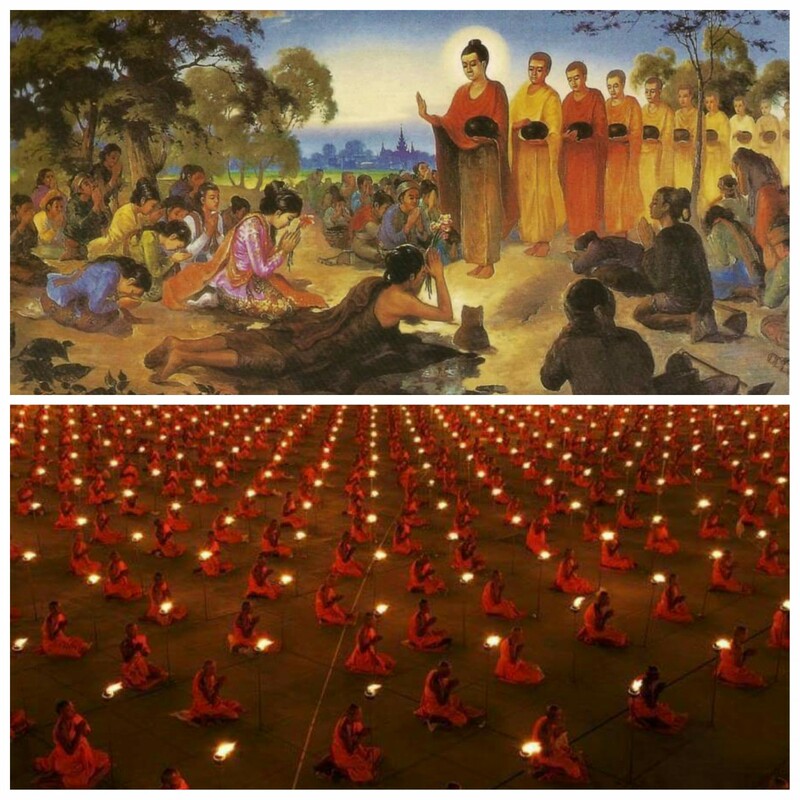 I found the content of the book is easy to understand and if we followed his dharma sharing as mentioned in the book and applied in the life, it is possible for us to achieve true happiness. Thank you for sharing about Ven. 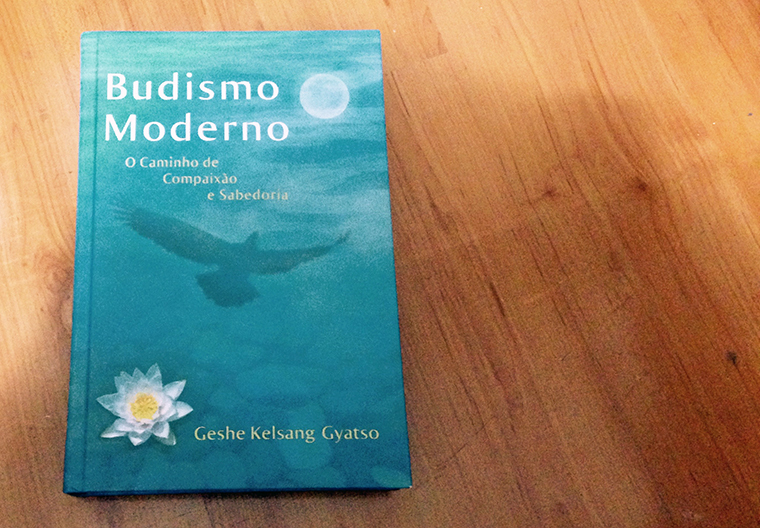 Geshe Kelsang Gyatso here. 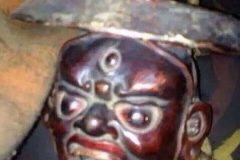 May Ven. Geshe Kelsang Gyatso long life and continue to turn the dharma wheel so that everyone can be benefited from his teachings.